Minitokyo »	Forum »	Bug Reports » did you know? not certain if anyone has ever noticed this, but I was playing around on the site options as I tend to do from time to time, but when you have the chat turned off you no longer see the off topic section in the active thread posts. as I know some don't like that part of the site, but that's about the only active part at the moment, for the most part, so, maybe that's why people have stopped posting as much? 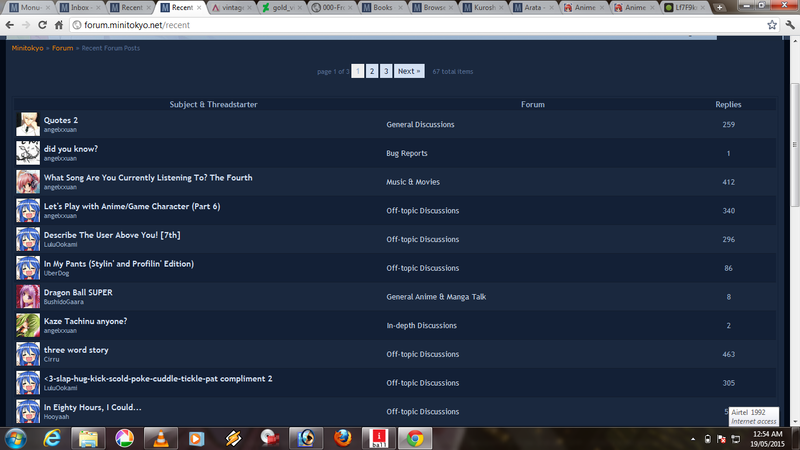 if you can't see a certain part of the site in the active threads section then how are you going to be able to post and play? after all the notifications do end shortly if you're not the creator of the post. not certain how long this has been around, but I know it was working a year ago when I turned off chat and turned it back on to help out some members on what to do and what the site looks like with it off and on. just thought I'd drop this bit of knowledge off to the masses who are still out there. Regards. That never happened to me. I never turn off the chat, so ^^; It makes sense though, the site has been a bit quiet lately, even the off-topic forums have been quiet. I wonder what's going on. 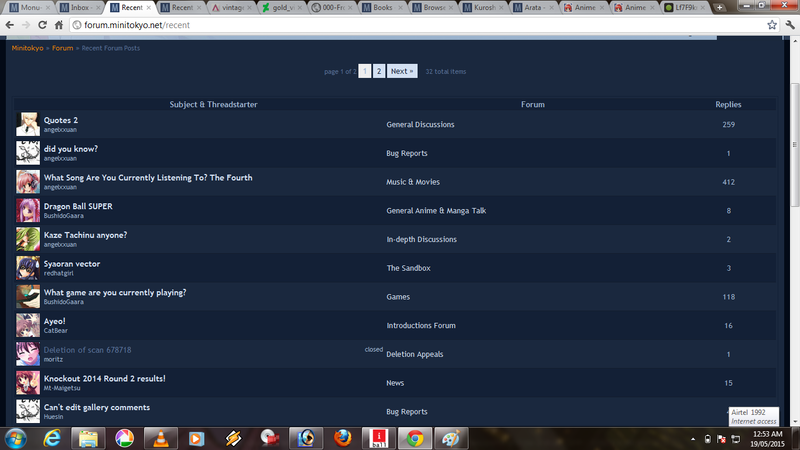 It makes sense though, the site has been a bit quiet lately, even the off-topic forums have been quiet. I wonder what's going on. It happens to me too Here I took two screenshots [url=http://i.imgur.com/2W5Y7Oz.png]this one[/url] is SB turned off and [url=http://i.imgur.com/cetUqVJ.png]this one[/url] is SB turned on. Well, it's already written Site option below the Chat enable/disable option; [b]When enabled will show the shoutbox and will show forum threads about trivial topics amongst the recent threads. [/b] However I never turned off SB before. @Hue bro: maybe you can see it even after turning off SB because you're a staff member? and this one is SB turned on. Well, it's already written Site option below the Chat enable/disable option; When enabled will show the shoutbox and will show forum threads about trivial topics amongst the recent threads. However I never turned off SB before. @Hue bro: maybe you can see it even after turning off SB because you're a staff member? I have fun about creating chaos and seeing what features do, that could account for why I was still able to see OT because I was an elite, but, the not seeing of certain parts of the site is entirely new, yay for more unspoken fun until you do something !